Following a review of the operation of the building control procedures introduced under S.I. No. 9 of 2014, the Minister of State at the Department of Environment, Community & Local Government has amended the Building Control Regulations 1997 to 2015 and has introduced the Building Control (Amendment) No.2 Regulations 2015 to provide an option for owners of new single dwellings, on a single development unit, and domestic extensions with an alternative process to submit a commencement notice accompanied by a ‘Declaration of Intention to Opt Out of Statutory Certification’. This declaration is submitted to the Building Control Authority via the Building Control Management System (BCMS) or on the appropriate form. The Building Control (Amendment) No. 2 Regulations 2015 came into operation on 1 September 2015. The Building Control Acts 1990 to 2014 set out the statutory framework for the regulation of building activity. This framework is based on legal requirements set out in the Building Regulations and Technical Guidance Documents. Building Regulations apply to the design and construction of a new building (including a dwelling) or an extension to an existing building. New buildings and extensions must achieve minimum performance requirements. S.I. No. 9 of 2014 Building Control (Amendment) Regulations 2014 also require the registration on a statutory register of key building control activity which ensures such activity is a matter of public record. A commencement notice signed by the owner and submitted to the local building control authority. A building owner should ensure that they appoint a competent builder and competent registered professionals to act as designer and as assigned certifier. 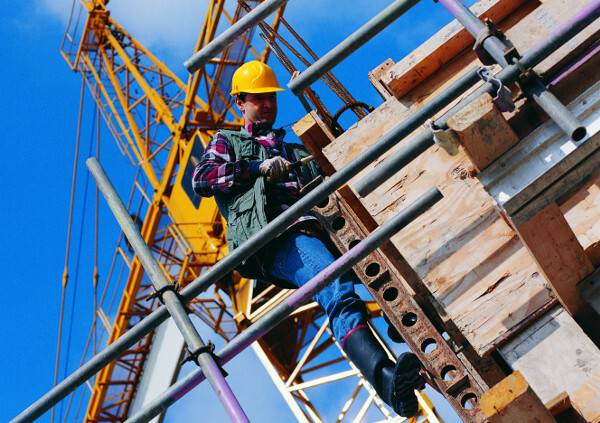 Builders included on the Construction Industry Register Ireland or equivalent may be regarded as competent for projects consistent with their registration profile. Design and compliance documentation certified by a registered construction professional. Undertakings by the competent builder and assigned certifier (a registered construction professional). An inspection plan prepared by the assigned certifier. On completion of works, a Statutory Certificate of Compliance on Completion signed by the builder and the assigned certifier, accompanied by relevant compliance documentation and the inspection plan as implemented, is lodged with the building control authority. The above is a summary. Please refer to the BC(A)R 2014 and the Code of Practice for Inspecting and Certifying Buildings and Works for detailed guidance. The new regulations have also provided clarification that an owner intending to build a dwelling for their own use may take on the role of ‘builder’ for building control purposes and sign the statutory forms which must be signed by the builder. The Department of Environment, Community & Local Government has issued a comprehensive information note for owners of new dwellings and extensions who ‘Opt Out’ of Statutory Certification for building control purposes. The Department advise homeowners to carefully weigh up the implications of a decision to ‘Opt Out’ of the statutory certification process. Section 3.5 states that ‘Homeowners should appraise themselves of any potential cost or other implications that may arise as a result of choosing to opt out of the statutory certification process. Prior to deciding on whether or not to avail of the ‘Opt Out’ option, it is recommended that a homeowner consult with their solicitor’. Whether a homeowner follows the alternative ‘Opt Out’ option or not has no bearing on the homeowner’s legal obligation under the Building Control Acts to ensure that the design and construction of the building concerned complies with the Building Regulations. The owners must ensure that any persons engaged to design or construct the building concerned is competent to carry out such works. The Department’s information note states that as reliance on competence is central to the success of any building project that one way of choosing a competent builder, sub-contractor or craftworker is to select a CIRI member. If owners wish to undertake building work themselves or to use direct labour, then the owner must be aware of their personal liability to existing users and to future users of the building project and are advised to seek the advice of a solicitor before commencing any works. The wider construction industry believes that the level of consumer protection afforded to occupiers of all new housing under the 2014 Building Regulations was a significant improvement from that which pertained in the past where no mandatory inspection or certification was strictly warranted. The implications of the new ‘Opt Out’ provisions have yet to be determined as this may impact upon residential mortgage providers approach to provision of mortgages for new buildings which have availed of the ‘Opt Out’ provisions for mandatory inspection and certification of works. It may also influence home insurance providers’ approach for provision of new home insurance, and may influence the legal profession in terms of advices to purchasers of buildings where the ‘Opt Out’ provisions have been exercised.